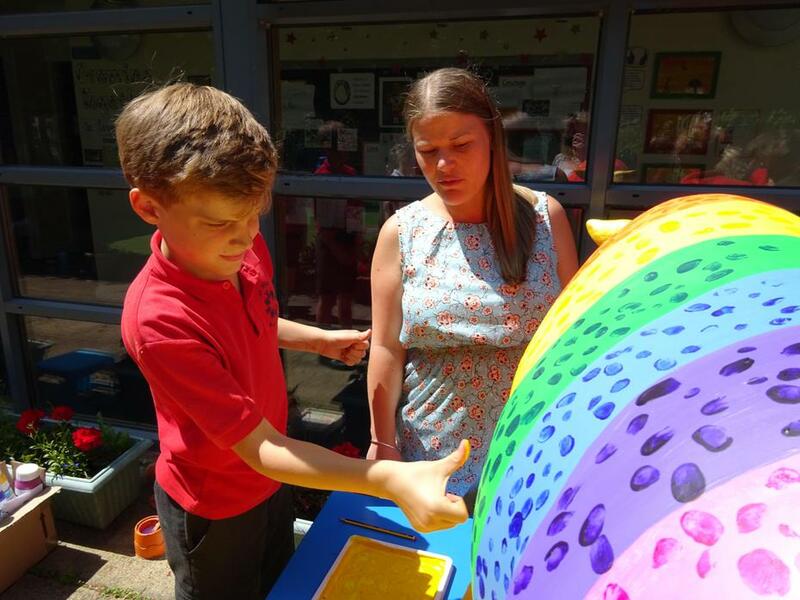 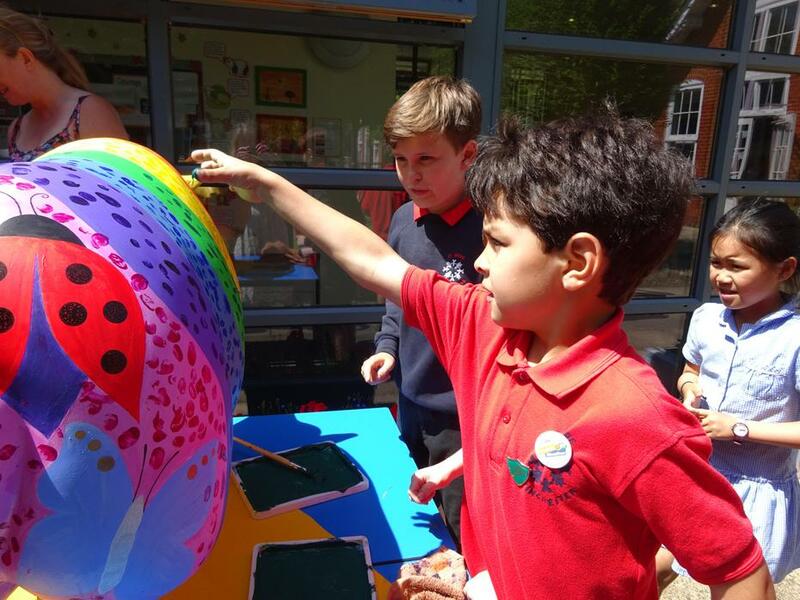 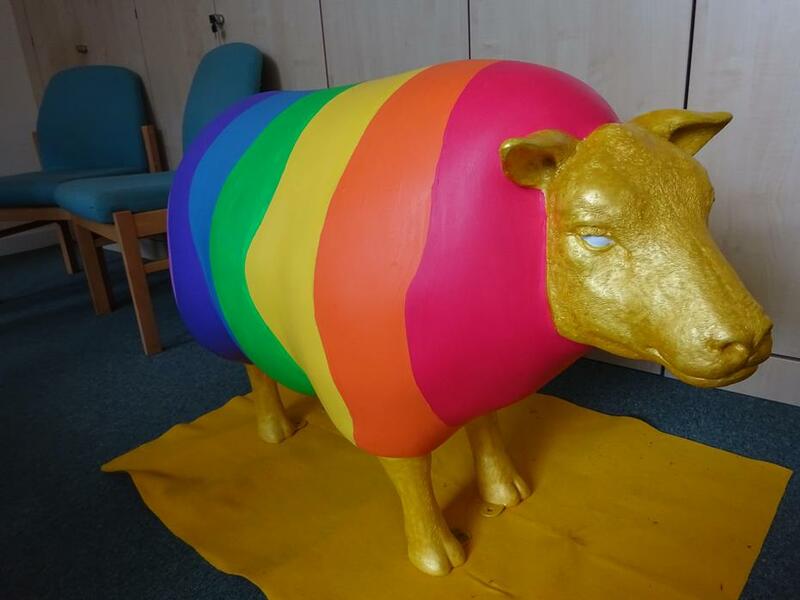 As a church school we were given the opportunity to purchase a (fibreglass) sheep to decorate illustrating our school values as part of a project led by Winchester Diocese. 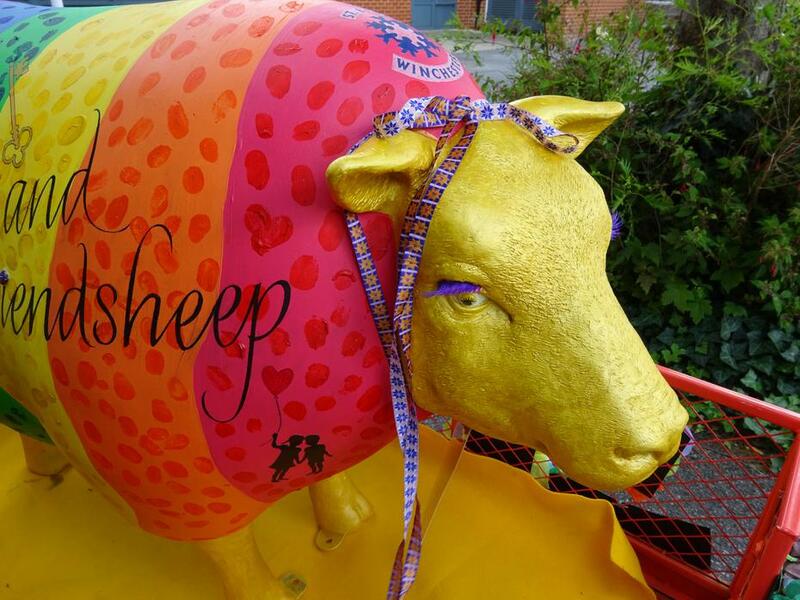 Across the school, all the children have taken part in creating a design for the sheep and suggesting a name for her. 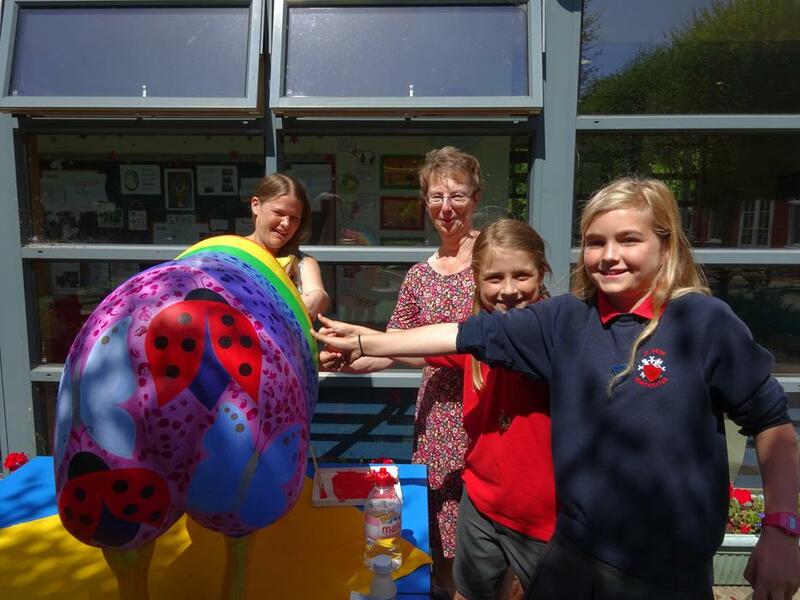 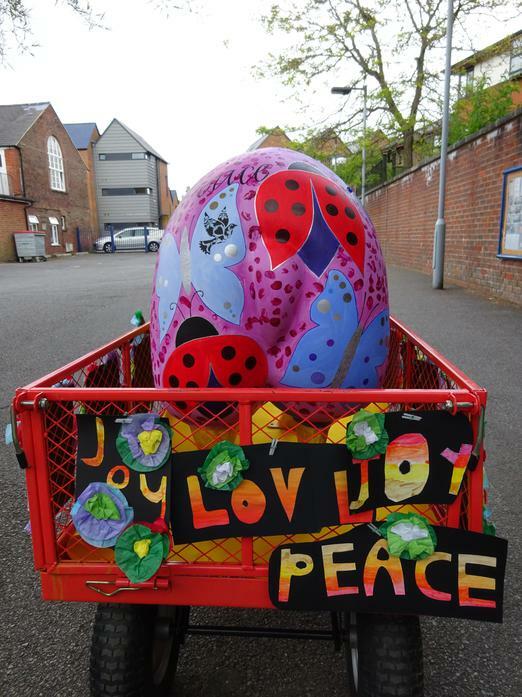 The name chosen for her is Val-ewe-ie, linked to our school values inspiring her design. 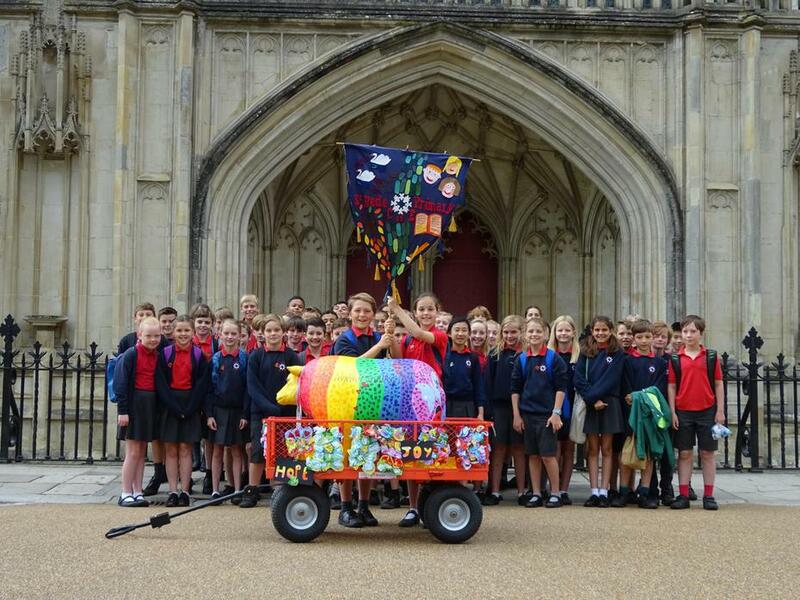 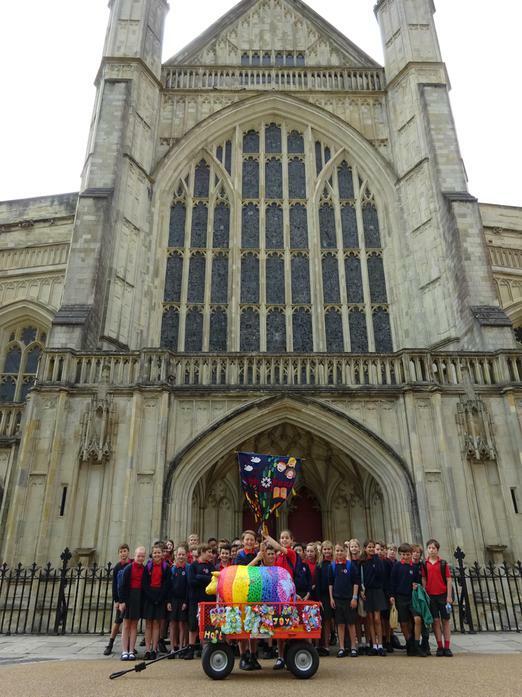 Val-ewe-ie was taken to Winchester Cathedral with our Year 6 pupils for a special 'leavers' service on 16th June. 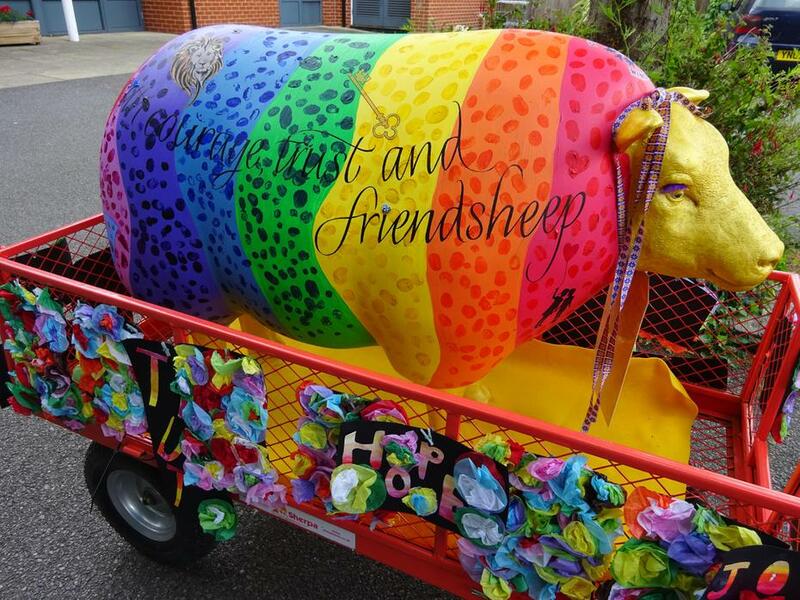 She looked fantastic and got lots of looks and comments as she travelled through the centre of Winchester in her sheep pen on wheels! 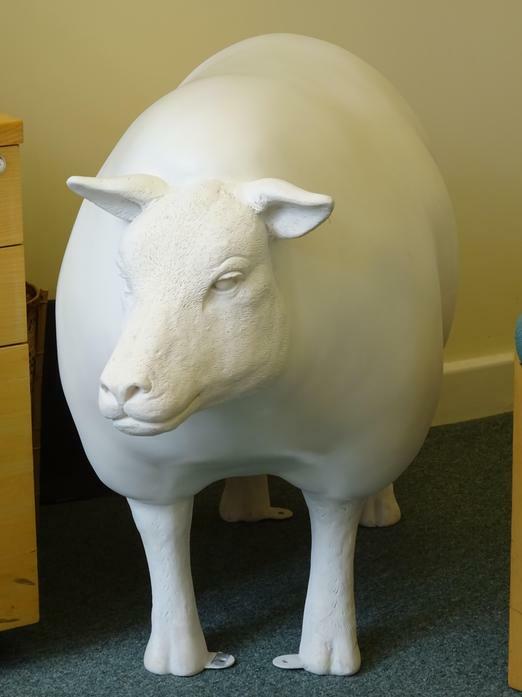 She will be on display at our Summer Fair on 16th June from 6pm to 8.30, do come and admire her.